And now for something completely different. Sometimes I make pictures of things other than wildlife just to do something different. 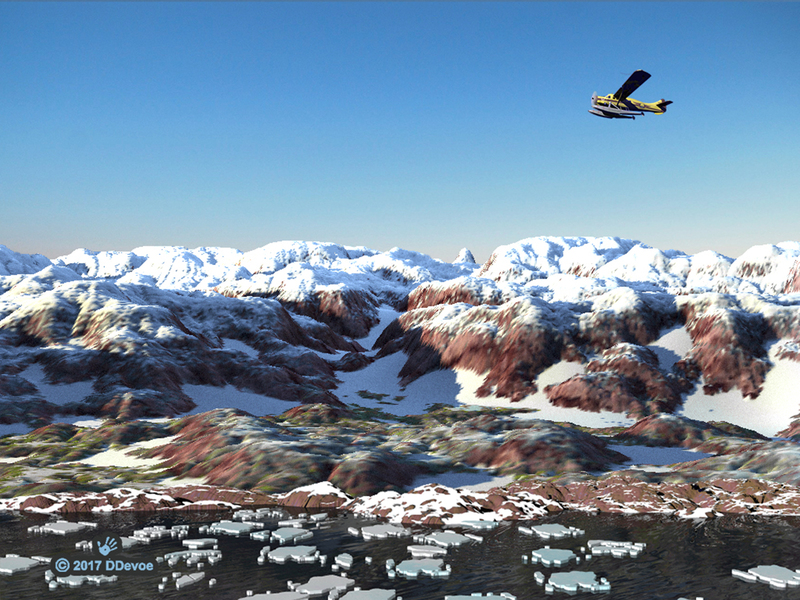 This is one of those times; and I wanted to try something new with one of my 3D graphics applications. A Soviet airfield early on a late winter morning early in the Cold War, the mid 1950’s. There is ice on the ramp as the crew and passengers of an Antonov AN-2 prepare for takeoff. Three MiG-17s are parked near a hangar; two more fly overhead. If you look closely you may be able to see a second AN-2 in the hangar. The AN-2 (Russian nickname: кукурузник [kukuruznik or “maize farmworker”] and referred to by NATO as COLT) is the world’s largest single-engine biplane. Its extraordinary slow-flight capabilities make it supremely suited for short, unimproved fields, and some specialized variants have also been built for cold weather and other extreme environments. It fills the same niche in Russia and parts of East Asia as does the venerable Douglas DC-3/C-47 in the West. 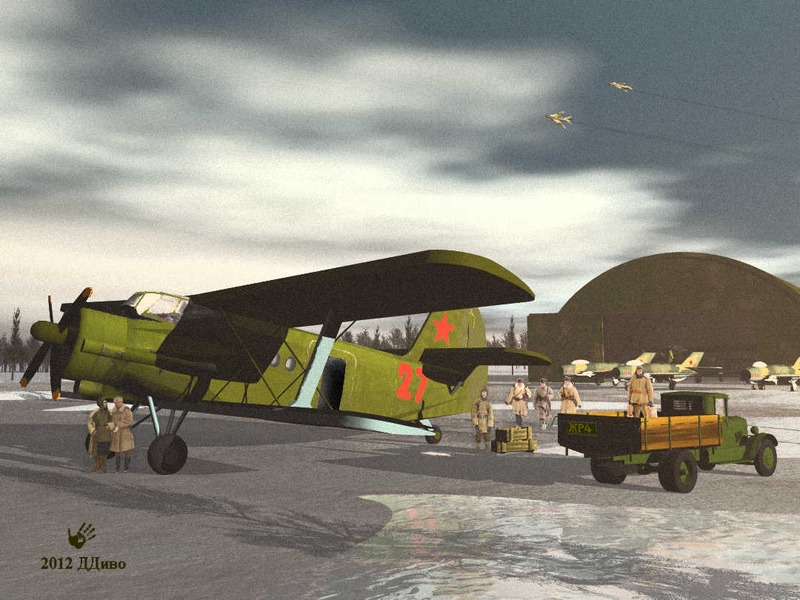 Since its first appearance in 1947, the AN-2 has been produced in great numbers; over 5,000 were built in the USSR. Since 1960, most AN-2’s have been built at in Poland, with over 12,000 made before full production ended in 1992. Limited production from part stocks continues. The AN-2 is also built under license in China as the Shijiazhuang Y-5. North Korea operates several AN-2s for use by special forces units. Save for the Lockheed C-130, the AN-2 has been in, more or less, continuous production for longer than any other aircraft. 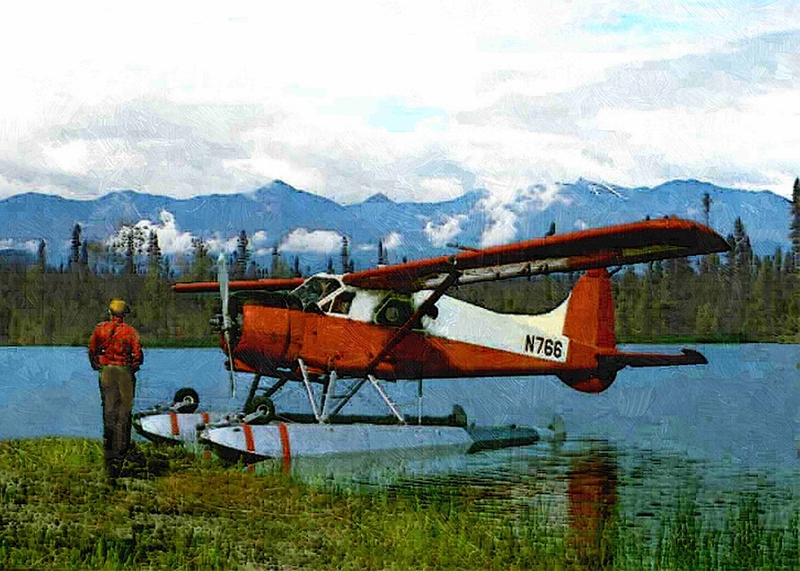 The AN-2 was designed as a utility aircraft for use in government-owned forestry and agriculture. However, the basic airframe is highly adaptable and numerous variants have been developed. 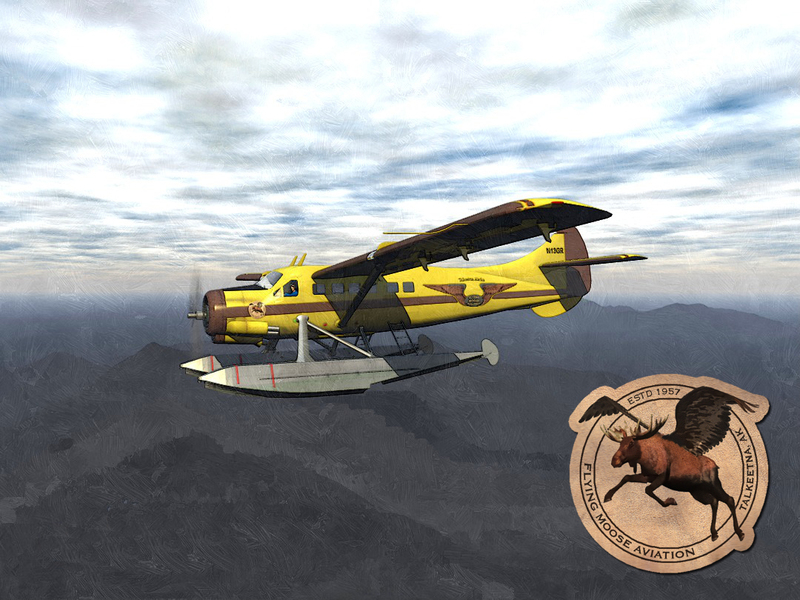 These include hopper-equipped versions for crop-dusting, scientific versions for atmospheric sampling, water-bombers for fighting forest-fires, flying ambulances, float-equipped seaplane versions, lightly armed combat versions for dropping paratroopers, and of course the most common AN-2T version, which is the 12-seater passenger aircraft. -It has a pneumatic brake system (similar to those used on heavy road vehicles) allowing it to stop on short runways. -It has an air line fitted to the compressor, so the pressure in the tires and shock absorbers can be adjusted ‘in the field’. -The batteries are large and easy to remove, meaning that the aircraft does not need a ground power unit to supply power. -It has it has an onboard fuel pump that allows the fuel tanks to be filled from simple fuel drums on the ground. -It has the minimum of complex systems. For example, the crucial wing leading edge slats that give the An-2 its slow flight ability are automatic, being held closed by airflow over the wings. Below 40 mph (64 km/h), they extend as they are on elastic rubber springs. The AN-2 has no stall speed quoted in the operating handbooks (the stall speed being the speed at which the aircraft is traveling too slowly for the airflow over the wings to keep it aloft). Pilots of the An-2 say the aircraft can be flown in full control at 30 mph (as a contrast, a modern Cessna 4-seater light aircraft has a stall speed of around 55 mph). This slow stall speed makes it possible for the aircraft to fly backwards (if the aircraft is pointed into a headwind of, say, 35 mph, it will travel backwards at 5 mph whilst under full control). This is a rare ability, even amongst other Short Take Off and Landing (STOL) aircraft. Only the German Fieseler Fi-156 “Stork” of World War II has better slow-speed ability.